Some of the most important work ACCESS does starts before an air disaster occurs. Our firsthand experiences have taught us just how important the initial interactions after an air disaster can be. We at ACCESS have a large body of feedback and collective experience that we have accumulated from hundreds of individuals affected by air disasters that have occurred over the past fifty years. We have learned firsthand what helps, what hurts and what makes it easier for those beginning their journey through grief. This is why ACCESS provides courses based on the case studies of our own clients to prepare companies, airlines and care teams that respond to aviation disasters so that they can offer the most sensitive and effective care possible. ACCESS teaches from experience how to establish a positive partnership between your team and the families of the victims. ACCESS has trained and presented to many companies and associations including: JetBlue Airways, Southwest Airlines, Air New Zealand, Qatar Airways, SkyWest Airlines, the Heritage Flight Airline Charter Company, the New York City Medical Examiners, National Transportation and Safety Board, Travelers Aviation, Embry-Riddle Aeronautical University Aviation & Law Insurance Symposium, American Association for Justice, Dombroff Gilmore Jacques & French Symposium, New Jersey Self-Help Clearinghouse, National Structured Settlement Trade Association, American Bar Association, the American Red Cross, as well as many other local and national disaster response organizations. ACCESS offers an educational sensitivity training workshop for the staff and/or volunteers who will interact with those in crisis following an air disaster. This training program teaches your staff effective tools for responding to those in need in a sensitive and appropriate manner — minimizing the stress and reducing the anger many feel following a tragedy. Since every individual’s reaction is different, the wide range of experiences of those directly affected by air disasters is paramount in preparing your staff and first responders for what they might encounter. This one-of-a-kind training program includes the firsthand accounts and anecdotes of hundreds of individuals who have lost loved ones in commercial, private, and military air disasters dating back to 1958 under all imaginable circumstances. The program presentation contains a broad spectrum of reactions and insights from these individuals expressing what they have found most helpful and hurtful at disaster response sites over the last fifty years. The workshops teach the sensitivity and crisis communication skills necessary to address the labile emotional environment following a tragic event. ACCESS works with major airlines, charter airline companies, airports, government agencies, corporations, firms, disaster response teams and nonprofits who provide care to those affected by air disasters to ensure that, in the event of an air disaster, employees will be appropriately prepared and responsive to the bereaved. Preparedness! 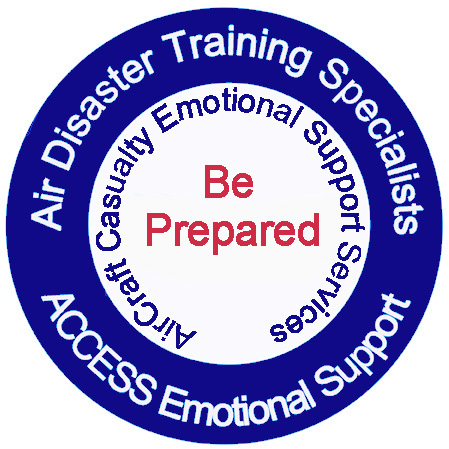 ACCESS provides Sensitivity Training workshops to individuals and air disaster response teams who interact with the bereaved following an air disaster. Nothing compares to learning from those who have lived it! ACCESS presents our firsthand data and best response methods through presentations, original video’s, training materials, our ACCESS textbook and anecdotes directly from those who have been through this type of loss firsthand. Logistics & Bereavement Support – Remote or on-site consulting assistance with logistics and bereavement care from our staff or grief mentors when an air disaster occurs. Trained Grief Mentors to Assist your Care Team Staff – When an air disasters occurs, our on-site and off-site Grief Mentors are available to support your staff as well as the families who have lost loved ones. Your staff will function most efficiently and optimally when our trained ACCESS Grief Mentors provide a reassuring presence. ACCESS Volunteer Grief Mentors are available to assist your Care Teams and Emergency Response Teams in the event that they need guidance on how to best care for client they are helping. For example: If a Care Team or Emergency Response Team member is having difficulty assisting a woman who lost a child, a trained ACCESS Grief Mentor who has lost a child in an air disaster can guide your Emergency Response Team member about what to say and what not to say and how to best interact with the person that they are assisting. Our on-site and off-site Grief Mentors help mitigate the emotional trauma placed on your staff while they interact with distressed families and from the disaster itself. 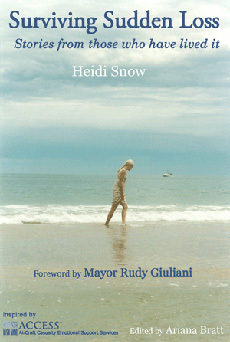 We have found that our Grief Mentors help facilitate positive communication between airline staff and grieving families. Further, we have found that crisis responders benefit from our ongoing encouragement and reassurance. Disaster Response Handbook – Initial and ongoing consultation to keep your crisis response handbook and procedures consistent and up-to-date with the ACCESS sensitivity standards of crisis response communication. Designated Helpline – ACCESS provides immediate, long-term and on-going bereavement support services provided by our Volunteer Grief Mentors to those affected by an air disaster via our Toll-Free Helpline and website. Sometimes when an air disaster occurs loved ones of the victims cannot travel to to the Family Assistance Center. Via our helpline ACCESS Grief Mentors provide immediate care to those who are not able to come to your Family Assistance Center as well as ongoing emotional support to the grief-stricken families as they transition from the Family Assistance Center back home to resume lives without their loved ones. Trained ACCESS Grief Mentors will assist them for as long as they need our support. We have no time lines or limitations in this regard. The importance of this ongoing continual support is that it prevents families from feeling abandoned when the Family Assistance Center site closes down and your staff can efficiently move onto other important tasks and resume regular business activities. ACCESS provides unprecedented air disaster response, preparedness and training support to care teams and emergency response staff who respond to air disasters. 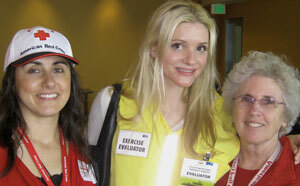 ACCESS responds, assists and prepares care teams to best respond in the event of an air disaster. 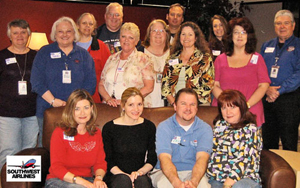 ACCESS is the only organization that utilizes trained Grief Mentors and trainers who have not only experienced the loss of a loved one in an air disaster themselves, but who also have had extensive training and experience in assisting thousands of grief-stricken individuals affected by air disasters who have called ACCESS for help. There are many acute emotional support services available following an air disaster but ACCESS is the only organization with almost 20 years of experience in providing emotional support to individuals who have lost loved ones in air disasters by providing immediate, on-going and long-term emotional support from our trained Grief Mentors who have experienced air disaster-related losses firsthand in years past. ACCESS Grief Mentors provide hope and encouragement to help the bereaved, care teams and emergency response staff productively resume their lives. We are here for the grieving who need emotional support so that airline employees can efficiently return to work and focus on their primary jobs. If you would like ACCESS to assist your airline, corporation or crisis response teams with disaster preparedness and response, we are here to help! Download our PDF to learn more about our air disaster preparedness training and having ACCESS on-call for your company.